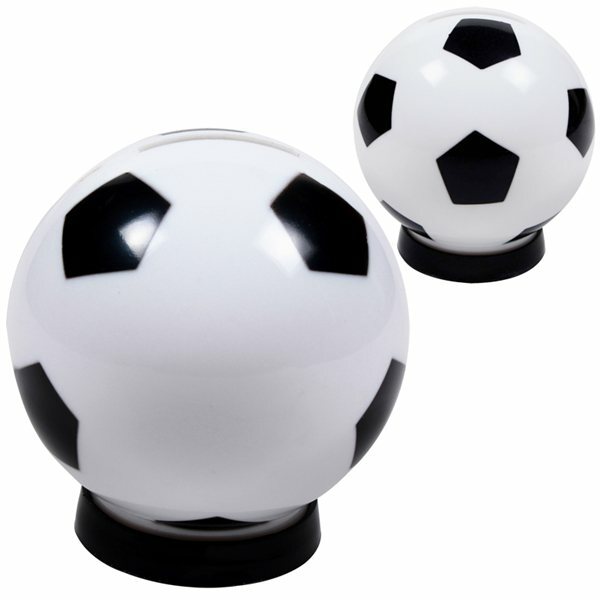 Plastic Soccer ball-shaped coin bank. Features a top money slot and a bottom removable cap for easy release. Perfect gift for promoting personal savings, credit, insurance, lending, company cost-cutting programs and more! I am very impressed with the time frame and prompt delivery. It sticks out among other free gifts, creates perfectly, feels safe and inventive. I really like the size and the overall quality of the product. Ordered these products for our employees. They loved them! this was a great giveaway mug at our Anniversary Party Sale. Customers loved them. No frills but very worth the value! the colors of the printing were an accurate match. Kudos for that. My orders arrived before the expected date.which was great!